James DeFrantz to lead BSG’s audit team, composed of seasoned former regulators, auditors, bankers and IT experts who specialize in assisting community banks ensuring they are in compliance with regulatory requirements. There were 82 new compliance regulations implemented last year! BSG's team of experts helps banks meet the increasing challenges of today's complex regulatory environment. Consulting firm Bank Solutions Group, LLC (BSG) announced the appointment of James DeFrantz as Practice Manager in its Risk and Compliance group, responsible for BSG’s services assisting community bank clients in meeting today’s increasing regulatory demands. James DeFrantz, CRCM, CAMS, J.D. is a BSG Partner and has 30 years of experience in financial service regulatory compliance. He is a specialist in compliance in consumer and real estate lending; BSA; CRA; Fair Lending; Consumer Operations; Non-Deposit Investment Products; Note Department Operations; Assessment of ALL and Credit Approval Process. 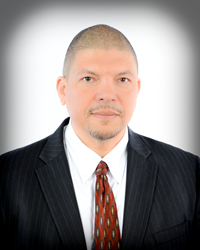 He has served as a Senior Compliance Examiner at the Federal Reserve Bank in San Francisco; as an Analytical Manager at the Office of Thrift Supervision; and as a Commissioned National Bank Examiner at the Office of the Comptroller of the Currency (OCC). He has a Certificate from the Pacific Coast Banking School of Bank Management, a Juris Doctor from the University of San Francisco with a concentration in banking and finance, and a BA from Dartmouth College. He is a Certified Regulatory Compliance Management and Certified Anti-Money Laundering Specialist. Bank Solutions Group, LLC is a management consulting firm that helps banks, credit unions and other financial services client-partners in meeting complex business challenges to achieve higher performance and gain competitive advantage. BSG is headquartered in Atlanta with teams in eight U.S. cities and has an international presence in eleven countries in North America, South America, Europe and Asia Pacific.